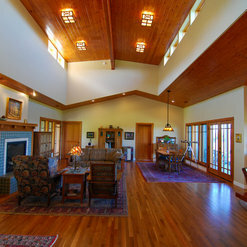 The Odenwalds designed and built a gorgeous, high quality home. They finished on budget and made my vision a reality. They have great attention to detail and communication. I strongly recommend them as general contractors. 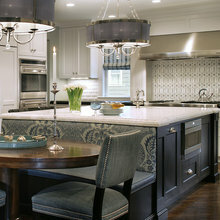 I have collaborated with the Odenwalds on over a dozen projects and they always deliver superb results! I can't say enough about their attention to detail and quality of their finished product. Thomas has a great talent for design, the construction staff is excellent, and the whole team is dedicated to exceptional customer service. 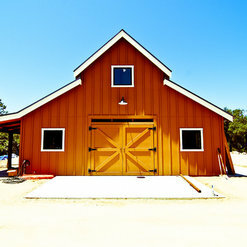 They are the gold standard for general contractors and design-build construction. LOVE, LOVE, LOVE my bathroom! We loved working with Kristin and Thomas. From the very beginning, when they came to our house for an estimate, we knew we were in good hands. Thomas has great ideas and always worked with us to save money where we could. 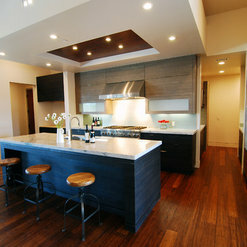 They were helpful in the design process and all of the subcontractors they hired were great. We were pleased with the process and the finished product. From February-May they gutted (including knocking down walls and moving doors) and remodeled our existing master bedroom, replaced our front door, painted and retextured the walls of our entryway and hallway, bumped up our kitchen ceiling and added a large skylight, added light fixtures to the kitchen and dining room, and replaced the patio slider. Kristin and Thomas were easy to communicate with; always quick to reply to an email or text. I like the app they use to post a schedule/calendar and invoices. We always felt informed and were never "surprised." We highly recommend them and will use them again for projects in the future. Thanks Odenwalds! OCC previously built for us a solid patio roof cover including skylights and ceiling fans and did such a great job that we had no hesitation in hiring them to do a total remodel of our kitchen. 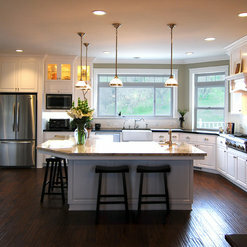 Thomas Odenwald took our ideas, added to them, changed some things with the end result being an amazing kitchen! 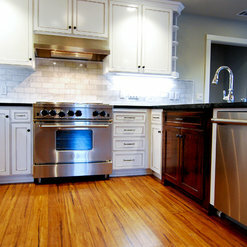 During the process of the remodel, his crew and subcontractors were all very professional. They were all very skilled in their jobs and cleaned up the site everyday which made a difficult project as easy on us as possible. 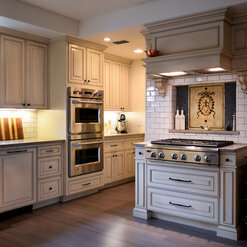 When shopping for counter tops, cabinets, doors, and appliances, we were encouraged by the obvious outstanding reputation that this company has with all these vendors. Our project was well managed by Thomas, who with his wife Kristin, guided us through the process with the end result being the "best" kitchen he has ever done!!! Thomas Odenwald and his family are a company of the highest standards, both personally and in their work product. 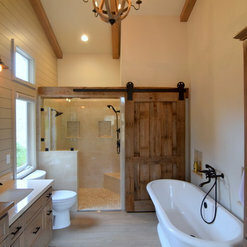 Thomas has an eye for design and gave me wonderful ideas for my master bathroom remodel. He has top notch subs and knows how to coordinate the execution of construction in the most professional manner. Communication is huge to me! Thomas did not disappoint. I'm thrilled with my beautiful new bathroom and truly enjoyed the whole experience. I'd love to take on another project with OCC. Thanks to OCC, I have a beautiful, new home! I purchased a 50 year old house which was in desperate need of a complete overhaul. Both Thomas and Taylor are incredibly skilled at what they do and complement each other nicely. They listened to what I wanted and came up with a creative and beautiful design which was so much better than anything I imagined. They helped me to stay within my budget and provided excellent communication along the way so there were no surprises. Kristin Odenwald also added her expertise to help things stay on track and move forward timely. I have nothing but good things to say about the entire team and absolutely love my new home. 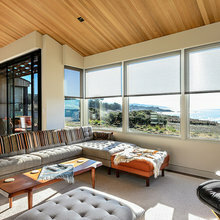 As a relative of the family, I know my experience is not unique and confirms that OCC deserves their reputation as a builder of quality homes. 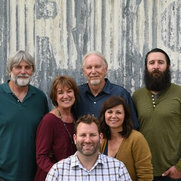 Thomas Odenwald and his family not only provide excellent customer service, they have creative vision and helped us with the design concept for our complete 1940's cottage remodel in Morro Bay CA. We especially love the white oak wine rack he built for our kitchen peninsula, the painted glass backsplash, and the barn door design for the guest bedroom. The shed-style ceiling opened up the front room, making our tiny cottage feel more open and airy. They provided a website with a calendar timeline so we could see when work would be completed, and also posted photos of each step of the remodel so we could have a photo history too. On time! A little over budget with some changes we made due to discovery during the remodel. Odenwald Construction is a pleasure to work with. 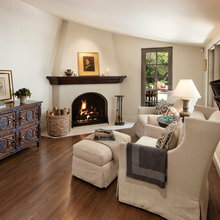 For many years Forden's has supplied fireplaces for their projects. They are knowledgeable and will bring a full range of experience to your job. Our dealings with Odenwald are always positive due to their expertise and skill. Top Notch! We can't say enough good things about the quality and attention to detail that Odenwald's give their clients. They do the best work and are they best type of people to work with - passionate and personable. 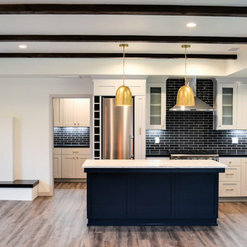 We cannot thank Odenwald Construction Company enough for transforming our kitchen into a space we are so proud of. Thomas was such a huge help with the design, layout, and our very tight budget. Taylor and his crew were always on schedule and cleaned up after themselves everyday they were here. 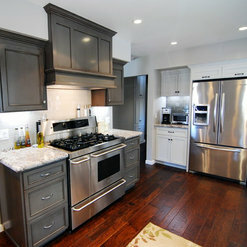 This remodel has brought a new level of love for cooking in a kitchen that is both beautiful and functional. The kitchen has become the central hangout place of our home. Their process and communication is clear and the work is detailed and clean. We couldn't be more pleased with the outcome. Thank you! Built our new house (8 years ago!). A 2500 foot, craftsman-inspired house in the country on a challenging site. Near an active fault, so had to be anchored to bedrock on concrete pilings. There were some surprises along the way (none caused by Odenwald, but by external events, such as a then new requirement for fire sprinklers not in the original plan). All were handled easily, professionally and within realistic financial constraints. All this was done with us living 2000 miles away! Thomas was our contact and he was excellent at communicating issues and progress that mattered, but not burdening us with details that didn't. 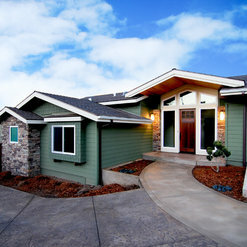 They hired outstanding subcontractors on all fronts - grading, concrete, framing, finish carpentry, floors, paint, you name it. It resulted in a house we love, and would change very little. 8 years later, the house has no cracks (a touch up painter we hired could not believe it), everything is still solid and fresh. Simply an extraordinary job done by a very professional company that was easy to work with. They listen, offer meaningful input and adapt calmly to change. I could not recommend them more highly. 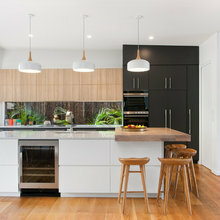 Commented: Who makes these pendant lights and where can I find them? Thanks!!Thanks! Owner provided them so I am not sure where they came from. Commented: Who made the cabinets?MB Cabinets. A local company. Commented: tiles?Unfortunately, I do not have this information. Commented: Stucco colorIt was a long time ago. If I were to guess I would say LaHabra Southern Moss. 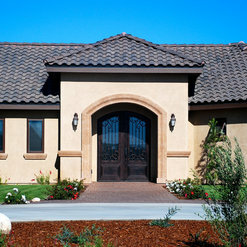 I do remember that per the request of the owner we burnished the stucco to get even more variance in the color. Commented: We are about to paint our 1912 craftsman.Unfortunately it was a custom color match so we do not have the Make and Manufacture on file.